A 2-day conference brought to you by Simeon Trust and 9Marks (hosted by Tyndale Theological Seminary and Geloofstoerusting) focused on the centrality of the gospel and its proclamation for the formation and transformation of the Church. The aim is to think deeply, and yet practically, about the nature and purpose of the church, and the gospel we proclaim. David is lead pastor of the Hyde Park congregation of Holy Trinity Church in Chicago, IL and Chairman of the Board of the Charles Simeon Trust, an organization dedicated to the sound preaching of God’s Word. Kevin is lead pastor of Grace Harbor Church in Providence, RI U.S.A, and has served at Capitol Hill Baptist Church and 9Marks in Washington, D.C.
Derek is Assistant Professor of Old Testament Literature and Language at Tyndale Theological Seminary in Badhoevedorp, The Netherlands. Effective preaching requires more than good exegesis – it demands an awareness of your audience. 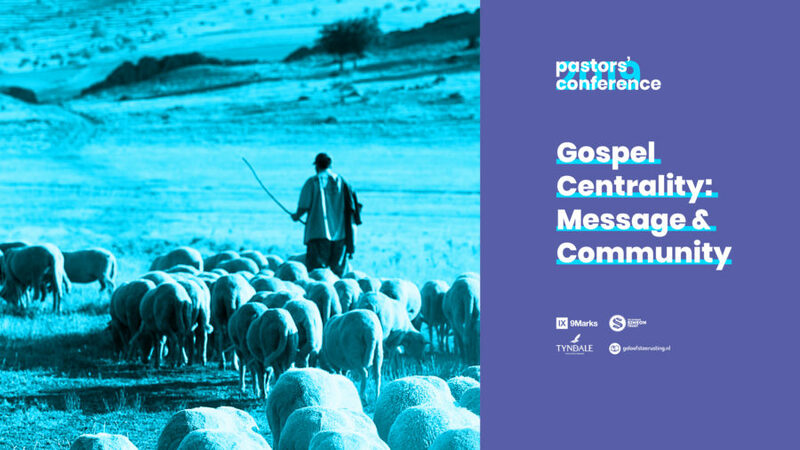 In this session we will explore persuasion as the aim of preaching, with specific strategies to help preachers make progress in reaching their audience. Do you know what you need to know to preach well? In my thirty plus years of preaching I have learned that the challenges of contextualization, exegesis, theological reflection and synthesis require our attention. This session will help us navigate the road. Too many of our sermons don’t have proper shape – they suffer from either too much or too little structure. Our listeners deserve better. And this session will show us how to make progress. ‘Preaching Christ’ in all our sermons has been a recent topic of conversation for preachers. Should we do it? What do we mean by it? And how can we grow in our understanding and execution of it. Why we need to define who belongs to the church. This talk will show why it is crucial to define who belongs to the church by practicing both, church membership and – whenever needed – church discipline. Making disciples is more than evangelism. Most Christians understand that Mt 28:18-20 is a call to evangelism and missions. This talk will show that the call to make disciples is much more than that. God has always intended to bring glory to Himself through His image on earth, and this talk looks at how God puts Himself on display in the corporate life of the church which His word creates. This talk looks at how to biblically exercise authority in the church, so that it blesses those under pastoral care. There will be a couple of give-away books on the conference as part of the conference price. More information about this will folow. Use the Google Form below to registrate for the conference. After registration you receive an email with payment information. You are not registered for the conference until your payment is received.